Did you know there are over 222 law schools certified by the American Bar Association? Out of those schools, Yale, Harvard, and Stanford Law are ranked as the top three law schools. Their programs are in high demand and earning a place in one of them can be very hard without high GPA and LSAT scores, language proficiency, and impressive experience and connections. When sifting through 200+ law schools, the first thing you should consider is whether the school offers the type of degree you are seeking to achieve your professional goal. Master of Legal Studies (MLS) or Master of Jurisprudence (MJ) - helps those without a law degree to gain more knowledge about the law field, but does not allow them to practice. Professionals in fields such as law enforcement, healthcare, non-profit, and entrepreneurship may benefit from having this degree. Juris Doctor (JD) - This traditional three-year degree is pursued after completion of a bachelor’s degree. This program prepares students to practice law in a courtroom and sit for the bar exam in any U.S. jurisdiction. There is also an accelerated or two-year JD option for foreign trained lawyers at some institutions including Stetson Law. Master of Laws (LL.M.) - is for those with a JD or a foreign law degree that wish to gain more knowledge about a specific topic, or for those pursuing a career as a professor or judge. Some LL.M. 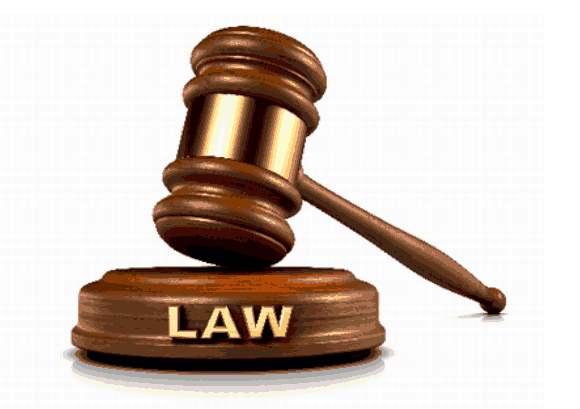 degree programs are designed to prepare students for the bar exam but be aware LL.M. graduates may only sit for exams offered in specific states. Doctor of Science of Law (SJD) - is a good fit for those wishing to become law scholars, professors, and judges. To apply for a SJD, you must already have a law degree and an LL.M. Once you know the type of degree you want, it is time to narrow down your options. The Law School Admissions Council (LSAC) lists JD and LL.M. programs accredited by the American Bar Association. Schools can be searched by geography or keyword. There are a few search engines and resources that can help filter through hundreds of schools to a manageable list of 5-10 law schools based on specialization, admission criteria, and the success of their students. Research which schools offer specialized programs for the area of law you are interested in and check where they rank in that specific topic. You can review a list of programs by areas of emphasis through the National Jurist or the U.S. News and World Report’s online university rankings by field. You can also use your favorite search engine to find degrees related to your area of interest, especially for very specific law fields such as space and aviation law. LL.M. and JD prospective students can sign up for the LSAC’s Candidate Referral Service (CRS), which allows law schools to contact the prospective student based on the information provided in their profile including areas of interest and test scores. LSAC also offers a tool that predicts the likelihood of admission by having JD program seekers provide their GPA and LSAT score to their integrated search engine. If you are seeking a MJ/MLS or SJD program, search for the type of degree in keywords on the LSAC website to find schools that offer those courses. If you are required to provide proof of language proficiency, check the program’s TOEFL or IELTS requirements. JD and SJD programs will require a TOEFL score of 100+ or a IELTS score of 7+. LL.M. and MJ programs will fall within a range of 55-100 for TOEFL scores or 5.5-7 for IELTS scores. If you still have a long list, you can further differentiate programs by checking their bar passage rate (if you plan to sit for the bar), employment rate, and reach out to alumni to learn more about the student experience. If you are concerned with passing the bar, the bar passage rate will help determine how effective classes are in preparing JD students for the bar exam. You can normally find this in the “about” section of the university’s website. Note: If you pursued an LL.M. and want to sit for the bar exam, make sure the program is designed to prepare students for the bar exam and do research on which state exam you can sit for as only a few states will allow LL.M. graduates to take the exam. Knowing where you can sit and familiarizing yourself with the bar examiner’s requirements will allow you to plan your classes and get any pro bono requirements completed during your studies. The employment rate of the law schools should be listed in the same area as the bar passage rate. This rate is a good indicator of employment opportunities offered to students after graduation. A school with an effective career development office and connections with potential employers in the community should have a higher rate of employability for their students. Research on what the school’s alumni are doing after graduation to have an idea of the kind of network you could gain. Request to speak to alumni of the program you are interested in to gain student insight into the program and if it is the right fit for you. You could also learn a few tips from alumni to make the most of your experience on that particular campus. At the end of all law school experiences, successful students always receive a law diploma. By doing research and eliminating those that lack the criteria most important to you, you will be able to get the best experience to prepare you for your future career in any law field you choose. Megan Crowley is the International Law LL.M. Program Coordinator at Stetson University College of Law in Tampa Bay, Florida. She manages recruiting and admissions for the International Law LL.M. Program and assists in the processing of student visas for international students. She is the Treasurer of the Florida Association of International Educators and has been in the field of international education for the past 10 years. SOURCE: WES Advisor is an initiative of World Education Services (WES), a non-profit with over 40 years of experience in international education.